Repertoire Raps (RR) are my free Facebook Live video recordings where I demonstrate great new (and old) contemporary sheet music for piano teachers. Save yourself the trouble of buying heaps of books only to find they don't really appeal - check out my regular RR's and learn about the music that I know works in studios today. You can find out more about when I go live by clicking "Like" on my Facebook Page. You'll also be able to access previous recordings on my FB Page. You can also see the posts and comments in my main blog: timtoph﻿am.com/blo﻿g. Please find links to the sheet music mentioned in each show below. Click here to watch the first ﻿RR﻿ and check out the comments. Approachable, simple arrangements that still sound good! Variety of books available. 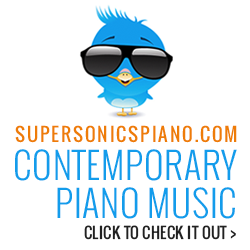 Noviscore has a huge catalogue of music arranged at multiple levels by pianists and teachers. Download the level of music that's right for your student. You can also find arrangements with note names, finger numbers, etc. Finding music that's appealing to teens and adults can be a real challenge. Often, they love those flowing film-type scores but finding them can be a challenge. I'll be showing you what I use in this episode. Watch the replay recording and leave a comment here. Click the logo to access and use the coupon code for a discount below. Click here for purchase from Hal Leonard in Australia. Use Code: repertoire rap for a 15% discount off Vol 1 and 2. Today's Rap is a little different. I'll be showing you how to teach a pop song with no music. This happens all the time in my studio: student comes into lesson and talks about a song they'd like to learn. Sometimes they've already tried playing by ear or using a YouTube tutorial, other times they just know they'd like to try it out. Wherever they're up to, let me show you how musical you can make this experience. Watch the full recording and read the transcript here. Link to Mockingbird sheet music. The last Rap of March sums up a productive month of Planning Curriculum. Here, I share some of my favourite fun, cool and exciting music for beginners who are almost ready to progress to that next level. Check out the transcript and full video here. Daniel's music has immense appeal, is all studio licensed and most come with backing tracks. Pamela Wedgwood is a master of the appealing, simple piano piece for the beginner. A continuation of the Upgrade! series - the More Upgrade have even more great ideas for beginners. Robert Vandall's work is some of my favourite for students. I don't know why this series isn't better known! Another series that's lesser-known but full of gems. Kevin Olson's writing is engaging and lyrical, making it perfect for beginners. Book 2 in this series continues Olson's great work for students. In fact, it's worth getting this whole series! ​There is so much fantastic music out there for late beginners. Here is Part 2 of my Cool Late Beginner Music raps. Check out the replay of the video and transcript by clicking here. Order from Hal Leonard Australia by clicking here. ​Today's Rap is all about great classical themes that kids love. 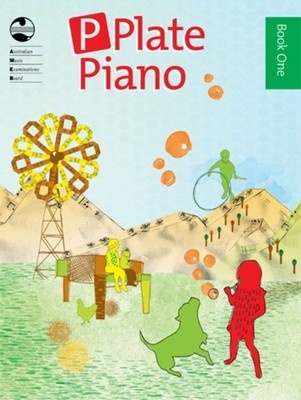 Do you want to try some fun arrangements of piano classics? Here are some examples of pieces my students really enjoy. Read the full transcript and watch the replay here.